The philosophers have been asking themselves the wrong question. It isn’t Does God play dice? we should be worrying about, but Does Wiley play snakes and ladders? The answer is, of course, yes. But like everything Wiley does, he doesn’t just play a bit of snakes and ladders, any more than he just raps a bit, or just has the odd minor disagreement, or posts the occasional amusing Tweet. 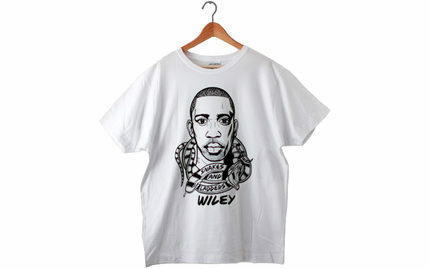 When Wiley plays snakes and ladders he plays it on the cosmic scale, he plays it with his whole career, his whole life. On Snakes & Ladders, Wiley’s fourth album with Big Dada, Wiley reminds us exactly what the Bow-born Godfather of Grime is all about. Innovative, banging beats and fast, scattershot, brilliant rhyming, all held together by a personality that is as compelling, contradictory and charismatic as any in modern music. Snakes & Ladders is Wiley’s Magnum Opus; a blistering, blazing, rallying call for grime’s first renaissance. Lead single "On a Level" is already ruling the airwaves on daytime Radio One, and as JME puts it on “From The Outside”: “Wiley is a national treasure.” The sheer off-the-cuff brilliance of his vocal poise is something we should cherish.